This two-day course aims to provide the background to state of the art brain connectivity. 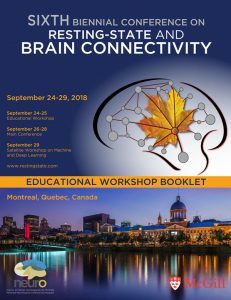 The format has been successfully developed as an educational workshop in conjunction with the Fifth Biennial Conference on Resting State / Brain Connectivity and for the second time we now offer this intensive pre-conference workshop for those aiming to maximize their individual outcome of the main conference. Course participants will learn about the basic and advanced strategies in data acquisition and data analysis for estimating brain connectivity. We will discuss the most important limitations as well as current issues under debate, such as treatment of physiological and other nuisance signals. We will focus on the pros and cons of different analysis strategies and provide examples for their applications in healthy populations and clinical samples. We will deepen your understanding of networks and information obtained using multimodal neuroimaging approaches including MRS, EEG, DTI, fNIRS, and ECoG. The atmosphere of the educational workshop encourages participants to interact with leading experts to discuss general or specific problems they may have encountered in their own work. The intended audience should be familiar with the basic concepts of functional MRI studies, including standard analysis strategies for task-based approaches. The course therefore is suitable for students, post-doctoral fellows and faculty members from various disciplines, including neuroscience, psychology, biology, math, computer science or physics. The course may also serve as preparation for in-depth discussions during the main conference. October 29, 2018: The slides of the educational workshop are available here. September 27, 2018: Instructions on how to prepare for the Satellite event, A practical guide on how to incorporate machine learning and/or deep learning in your data analysis, are now available here. Please review and follow these instructions before the event. September 25, 2018: The Sci Art exhibit is open to visits of the general public. Please meet your guide at the 2200 Mansfield St. Entrance of the Center Mount Royal, at the time scheduled for your visit. Please click here to make arrangements for your visit to the exhibit. September 25, 2018: Five awards, of $500 CAD each, will be awarded to the 5 top ranking posters as judged by the reviewers. September 10, 2018: Please sign up and fill out the web-form in order to take part in the scientific matching and dating program. August 21, 2018: We have received over 290 abstract submissions thus far! August 21, 2018: Early registration rate applies until 11:59 PM on September 14, 2018. 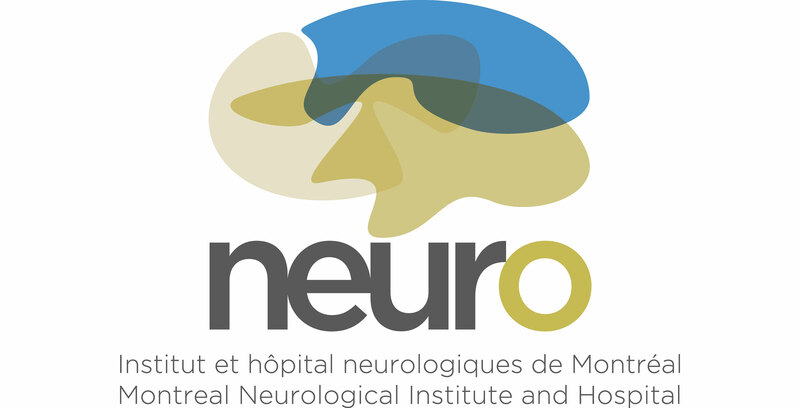 August 1, 2018: Registration fee for the main conference covers lunch and coffee breaks for the 3 days, the reception on 9/26 and the gala dinner – social event – keynote lecture at the Chalet Mont Royal on 9/27. July 27, 2018: We have added a RECEPTION to the evening schedule of September 26, 2018. This will include a “SCIENTIFIC MATCHING and DATING” event: meet a scientist that can advise on your paradigm design, modeling, analysis, machine-learning etc. July 27, 2018: We will host a SCI-ART EXHIBIT, “The Lines that Connect”, organized by Dr. Amanpreet Badhwar. July 9, 2018: We have added a satellite workshop on HOW TO INCORPORATE MACHINE LEARNING AND/OR DEEP LEARNING IN YOUR DATA ANALYSIS, scheduled for Saturday, 29th of September 2018. To register, click here. To stay informed about the next conference to take place in Montreal, Canada in 2018, please subscribe to the newsletter — if you have not yet already done so.